Carly Watts Art & Illustration: Glitter Detector Giveaway Win! A couple of weeks ago I was lucky enough to win Marta's awesome giveaway over at her blog Glitter Detector. Marta is a really lovely girl, so I would definitely recommend checking out her blog. 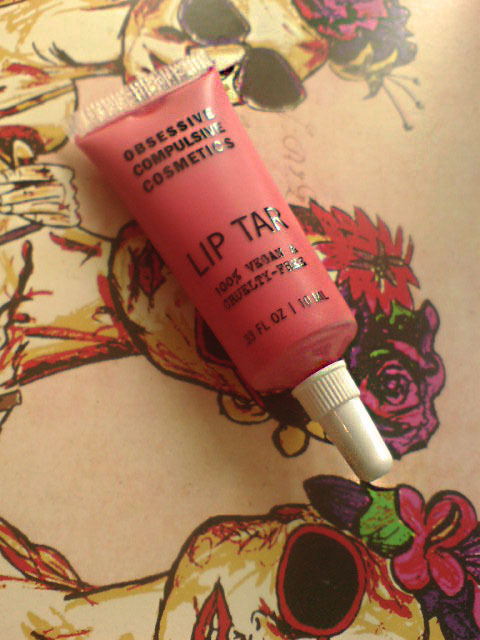 I won this lovely OCC Lip Tar, and it's the first one I've ever tried. I chose the shade Grandma, which is a bright pinky-coral type shade. I think this product will last for ages, because you only need the smallest amount when you apply. The staying power is also amazing, so I would thoroughly recommend the Lip Tars. I'd like to thank Marta for hosting such a generous giveaway, and I hope that you will all check out her blog! I really love it, and the little rabbit too! Thanks - I was really excited! 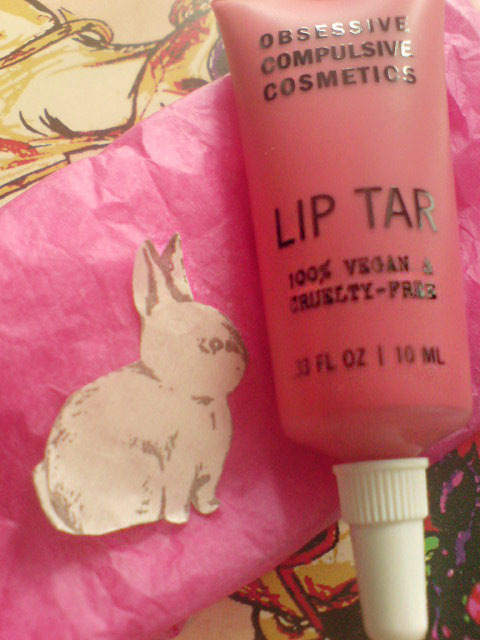 I love the lip tar. It is so cute and tiny!